This is distinct from most other 2-D materials made by feeding gases into a furnace. In standard chemical vapor deposition, the atoms settle onto a substrate and connect with each other. They typically don't disappear into the substrate. The researchers said the metallic borophene islands are about 1 nanometer square, on average, and show evidence of electron confinement, which could make them practical for quantum applications. Yakobson said trying various substrates could yield new phases of borophene with new properties. "Gold, with a lesser charge transfer and weaker bonding, may yield a layer that's easier to lift off and put to use, although this has not yet been achieved," he said. Yakobson has a track record with borophene, which cannot be exfoliated from bulk materials like graphene can from graphite. A materials theorist, he predicted in 2013 that it could be made at all. A couple of years later, it was. He and his colleagues on the new paper, Hersam and Guisinger, had already showed that borophene grown in a particular way on silver becomes wavy, which gives it interesting possibilities for wearable electronics. "So far, the substrates with demonstrated success for borophene synthesis closely follow theoretical predictions," Yakobson said. Argonne has successfully grown it on silver and copper as well as gold, while the Chinese Academy of Sciences has grown borophene on aluminum. Now, with their work on gold, they have combined theory and experiments to demonstrate an entirely new mechanism of growth for two-dimensional materials. "The challenge remains to grow it on an insulating substrate," he said. "That will permit many intriguing experimental tests, from basic transport to plasmons to superconductivity." The researchers found it took an order of magnitude more boron to grow borophene on gold than it did for silver. That was their first indication that boron was sinking into the gold, which started happening at about 550 degrees Celsius (1,022 degrees Fahrenheit). Yakobson noted a low number of atoms remain embedded in the gold without forming an alloy, but scientists have seen signs of that phenomenon before. "In graphene growth on common copper, carbon atoms also partially dissolve and diffuse through the foil, without a specific alloy being formed," he said. The fusion of a boron nucleus with a proton (hydrogen ion) produces slow-moving helium particles but no neutrons or radioactive waste... This method releases energy directly as electricity without requiring conversion from heat. Experiments suggest a petawatt-scale laser pulse could launch an 'avalanche' fusion reaction. This possibility, however, remains highly controversial." -THAT would be pretty cool. How about a gold boron-doped hohlraum at the NIF? "A specialized magnetron co-sputtering process to fabricate a 0.3- to 0.6-μm-thick sputtered gold-boron (AuB) liner in inertial confinement hohlraums (inertial confinement fusion) to the specified concentration of 80% Au and 20% B has been developed at General Atomics. The AuB layer concentration in atomic percent is characterized by witness pieces using depth-profiling Auger electron spectroscopy. The results of the initial research and development effort and the yield in pilot production of AuB-lined sold hohlraums are presented." Could this be used 'in reverse' to mobilise gold from ore / scrap instead of toxic cyanide / mercury route ?? 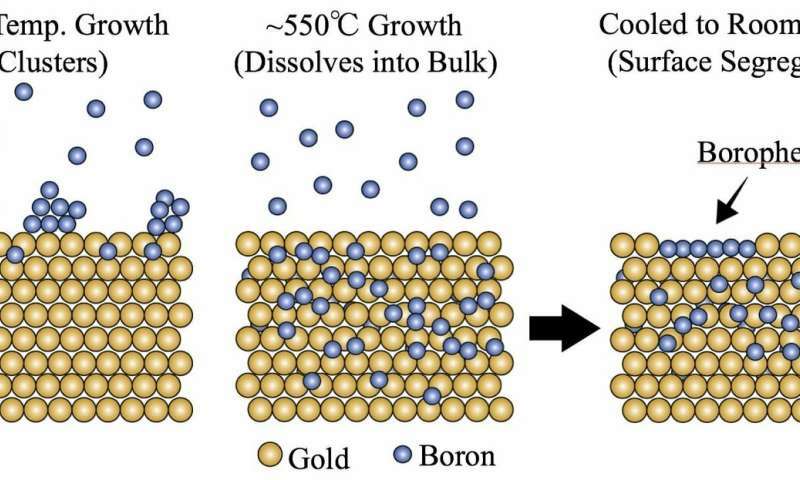 @Nik, it shows that Boron melts into the Gold, but nothing about it going the other direction of gold melting into Boron, which would be more what you want for the refining/purification.